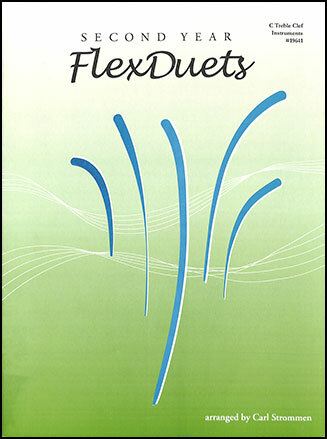 Following up the popular First Year FlexDuets collection, these exceptional flexible instrumentation duet books feature ten Grade 2-3 selections that can be played by virtually any combination of two like or mixed wind instruments using the appropriate key-compatible book(s). A great resource for concert or festival programming! 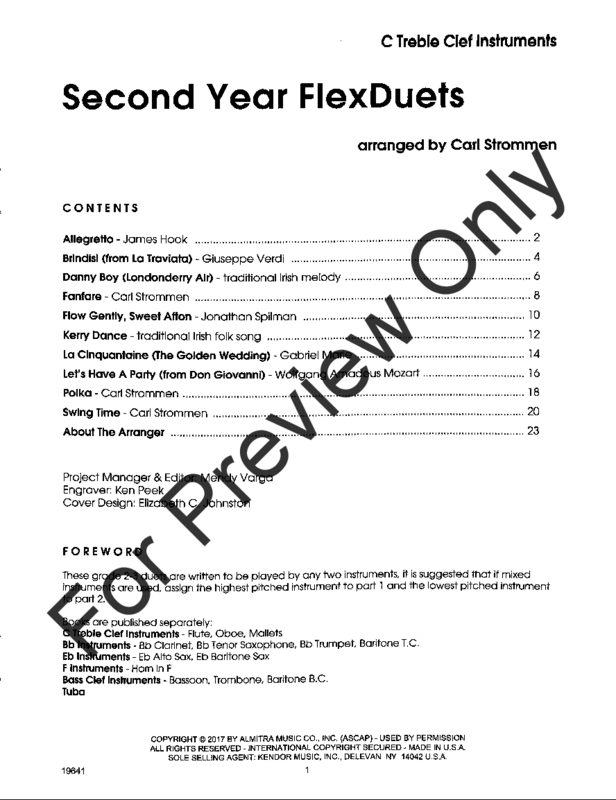 Titles include: Allegretto (Hook); Brindisi (Verdi); Danny Boy (Traditional); La Cinquantaine (Marie); Let's Have a Party (Mozart); Polka (Strommen) and Swing Time (Strommen). Bb Instruments Duet Clarinet, Tenor Sax, Trumpet, Baritone T.C. 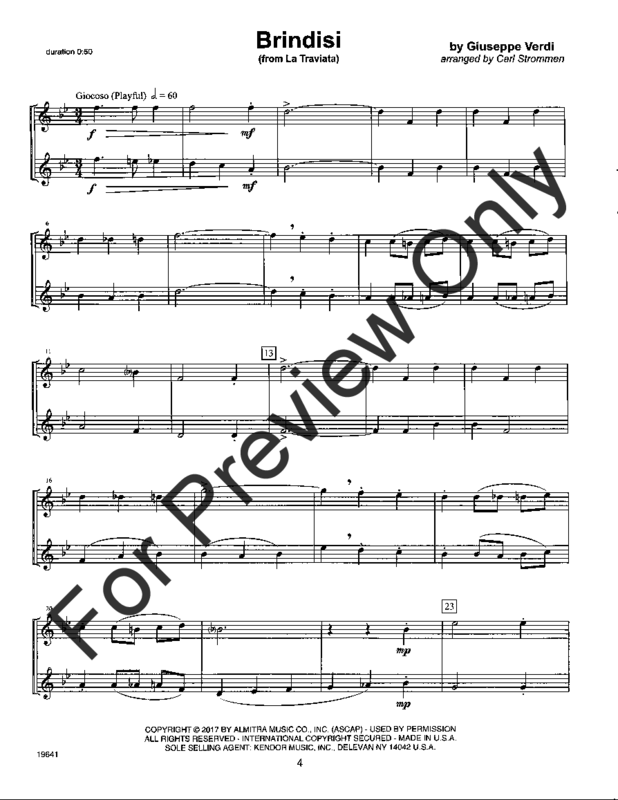 Bass Clef Duet Bassoon, Trombone, Baritone B.C. 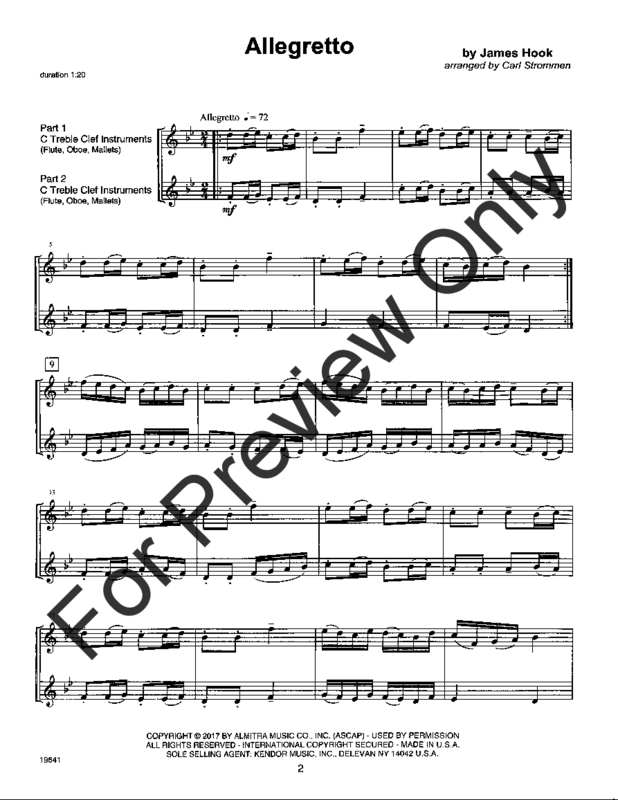 Bass Clef Duet Bassoon, Trombine, Baritone B.C.